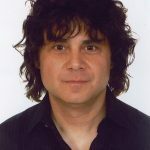 I am a professional Guitar Instructor currently with a Music School in Toronto. I have a Private Music Studio in the Emerson Wallace Junction and have a few spaces open for beginners to intermediate players who are interested in private Guitar Instruction, in home or Skype lessons. In addition to over 25 years of teaching Acoustic and Electric Guitar in a one on one settings and Group ensemble my experience includes working with special needs and organizing Student Showcases. First and foremost I believe that you have to have fun, I aim to keep the people who are studying with me inspired as well as informed. This is a give and take situation because the Guitar Sessions should be geared around a person’s individual interests. My background includes attending the Music Department at Humber as well as the Trebas Institute. My Guitar skills and teaching catalog goes back to the Rock and Roll of the 1950,s to the “Grunge” era of the 1990,s and almost all points in between. This includes the songwriters of this century ranging from Taylor Swift to Ed Sheeran. For beginner Guitar players I will help to set a firm foundation of chord playing, picking technique and simple songs that most people recognize. The more involved Guitarist looking to expand the boundaries of what they have already accomplished can be introduced to new techniques and playing styles directly related to what they already know. These Guitar Sessions can get involved in Music Theory, melodic and harmonic analysis not as an empty paper exercise but how it relates to the fretboard of the instrument and the songs that we would be studying. These Guitar compositions can start from the country blues of Robert Johnson and lead directly to Eric Clapton, Allman Brothers, The Rolling Stones, Dire Straits, Ry Cooder and The Beatles, to name a few.